Food is a human right. However, over 800 million people are starving worldwide, and another billion people are suffering from undernourishment - mostly in developing countries. Rural populations in particular tend to be affected. Poverty, however, is not the only factor that makes nutrition a problem in many places: high population growth, progressive climate change, as well as natural disasters, wars and conflicts also play their part. Promoting the security of food supply is therefore one of the key tasks of international development. In addition to boosting agricultural production, KfW funds the further processing of agricultural products and the improvement of agricultural marketing on behalf of the German Federal Government. This not only helps individuals to meet their own nutritional needs, but also creates jobs and income. KfW Development Bank has expanded its activities in the agricultural sector in recent years and is currently funding 31 projects on behalf of the German Federal Government with a total commitment volume of around EUR 1.1 billion. This amount not only covers projects explicitly oriented towards food supply security, but also involves programmes related to improving irrigation systems, expanding rural traffic routes and securing drinking water supply and sewage disposal. The current agricultural portfolio of the KfW subsidiary DEG in Africa totals around EUR 177 million. DEG primarily finances investments in local private companies, but also in their German counterparts in developing countries and emerging economies. Following a sharp upturn in food prices and famines in Africa, KfW was asked by the Federal Ministry for Economic Cooperation and Development to develop an innovative instrument to promote agriculture in Africa in the wake of the G8 Summit of 2008. This was necessary because the capital requirements far exceed the scope of state development aid available and private investors have to be involved. This is where the Africa Agriculture Trade and Investment Fund (AATIF) comes into play: the fund is an innovative instrument that complements "classical" development funding and provides experienced large and small private companies based in Africa, as well as farmers, with loans, guarantees and, to a lesser extent, with equity capital. This lastingly boosts the existing potential in agriculture and the distribution sector. For African agricultural companies largely lack the resources and marketing opportunities to make the leap into competitive production. They now receive intermediary loans to invest in improving production or production in downstream sectors either directly via the AATIP, or indirectly via financial institutes. This also secures the income of individuals employed in the agricultural sector, as well as improving the competitiveness of local companies. Since its establishment ATTIF has financed ten investments (irrigation systems for soya cultivation, as well as rice mills) and can boast major success stories. Over 50,000 tonnes of various agricultural products were also produced, including over 14,400 tonnes of maize, around 26,400 tonnes of wheat and around 11,600 tonnes of soya. The fund is geared towards funding so-called outgrower schemes. The investments have benefited over 30,000 small farmers, who have signed a contract with the financed farms since 2011. Many of the African export cultures are characterised by a high share of small-scale manual work (coffee, cocoa, cotton and cashew nuts), which is why it makes sense to leave that work in the hands of small farmers. The large companies that take on the loans help small farmers in many ways, including helping them to get their products certified where possible, or by offering them training in ecological farming methods. Funding has also helped to boost local potential. 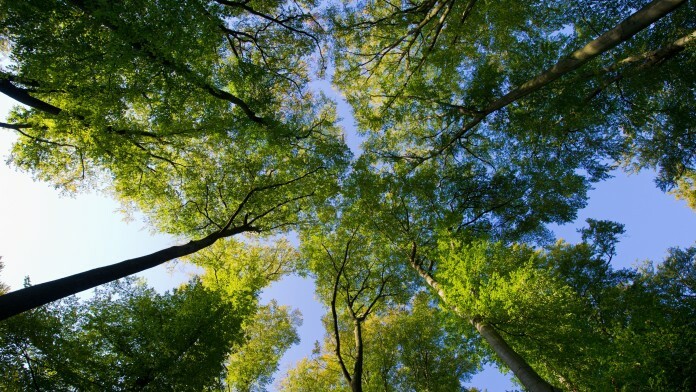 To minimise ecological and social risks, the fund sets comprehensive social and environmental standards. Adherence to these standards is checked by an independent compliance advisor from the International Labour Organisation (ILO), who cooperates with UNEP to this end. Complaints filed against the Chobe Farm in Zambia, for example, were followed up, but proved to be unfounded. To consult the respective status reached in the implementation of environmental and social standards, please see the detailed AATIF Annual Reports on individual instruments. Many players are beginning to recognise the opportunities offered by investing in agricultural investments in Africa. The African Development Bank recently numbered 25 funds that want to invest equity in agricultural companies in Africa that promise high returns. AATIF, however, is currently the only fund that offers long-term external financing. This covers a central gap for many companies, since the local African financial markets often only offer financing for a year, if that. AATIF was founded in August 2011. The commitment volume of investors total almost USD 181 million. Federal Ministry for Economic Cooperation and Development fiduciary funds accounted for almost USD 74 million of this amount, while C-Shares from the Common Fund for Commodities (CFC) accounted for USD 2 million. 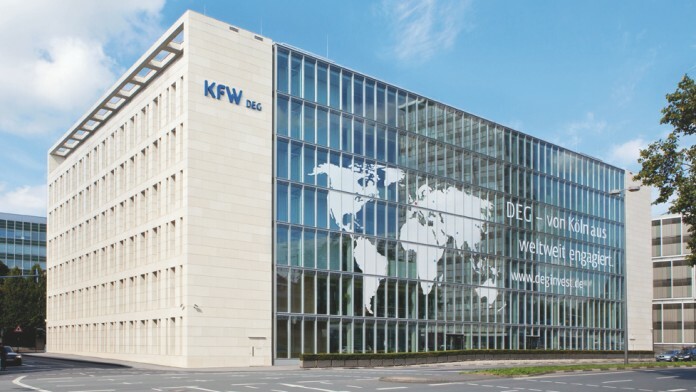 KfW and Deutsche Bank pledged USD 26 million respectively. In October 2015 a contract worth over USD 25 million was also signed with the Austrian development bank. Private investors (mainly institutions related to the Church and private fortunes) account for USD 28 million. The volume of resources is to be further increased in the medium term. New investors will only be allowed to participate if approved by AATIF's directors. The project will be supported by a technical complementary measure worth EUR 6 million. The outstanding credit portfolio totals around USD 170 million. Good financial infrastructure plus legal security and protection for investors: the knowledge of funds already present in Luxembourg among parties such as lawyers, auditors and financial service providers ensures a good basis for implementing and managing the fund. Furthermore, the location is renowned for its high level of legal security and a large number of investment protection agreements, even with smaller developing countries. Suitability and performance capacity of the national regulatory system: Luxembourg's regulatory system is fundamentally suitable for funds, and Luxembourg alone possesses the expertise needed for the special form of funds known as "structured funds" (funds with varying risk categories for investors, e.g. the EFSE), meaning that all of our structured funds (12) are based there. The reasons listed have led to over 70% of the world's micro-financing funds now being based in Luxembourg. Issues relating to tax did not play any role in the selection of a location for the fund. This is because, in the case of investment funds that issue loans, it is the shareholder/investor who is taxed, not the company. In this case, tax is charged according to the rules in place in the investor's place of residence. This therefore also applies for FC funds (Financial Cooperation with developing countries and emerging economies that KfW deals with on behalf of the German Ministry for Economic Cooperation and Development). No special agreements are in place. Investors in the fund are subject to regular tax regulations in the country in which they are based. The fund has an unlimited duration, was founded under Luxemburg law and is subject to its financial supervision. The background here is that only Luxemburg's law enables the fund to be structured according to the so-called waterfall principle (cf. below), whereby certain investors sustain heavier losses than others. This is required to mobilise capital from private investors, who would otherwise seek to avoid the higher risks of investing in our partner countries in the agricultural sector. This legal form has proven successful for several of the funds set up by KfW. The fund's capital is subdivided into three risk categories; according to their appetite for risk, investors can invest in C- (or junior), B- (or mezzanine) or A- (or senior) shares. The target returns for C-shares correspond to the inflation rate in the euro area and are capitalised; C-shares also receive the bulk share of any additional revenues that exceed target returns. In other words, those who bear the highest risks benefit from the upside potential. The target yield on B-shares is currently Euribor +300 bp. The target yield on A-shares is currently Euribor +200 bp; A-shares are senior to all others in terms of dividends and entitlements. KfW Development Bank currently holds shares in 39 funds with a book value totalling EUR 1.3 billion. KfW holds fund shares as part of its Financial Cooperation (FC) with developing countries, primarily on behalf of the Federal Ministry for Economic Cooperation and Development, as well as the Federal Ministry for the Environment, Nature Conservation and Nuclear Safety, and to a lesser extent, of the EU. Around 60% of shares are financed by budget funds (fiduciary holdings), and around 40% by KfW's own funds. These funds are designed, above all, to support partners in countries that receive official development assistance (ODA). The focal point is on microfinancing. 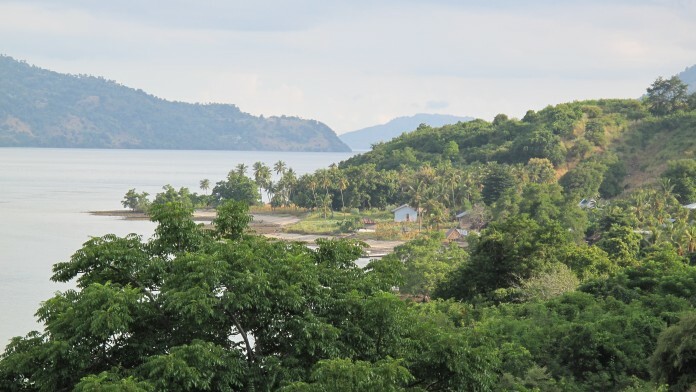 Adaptation to climate change, as well as other environmental projects, rural development, biodiversity and education are also financed. The majority of the funds were set up by KfW together with other public development banks such as IFC, EIB or the EBRD. Agriculture is a key sector in developing countries that offers jobs and income for the rural population. Investments in agriculture help to secure food supplies for the world's growing population. DEG financing in agriculture covers the entire value chain (primary production, a first processing stage, distribution and logistics). DEG's current agricultural portfolio in Africa is worth around EUR 177 million. Private investments in agricultural projects can create huge opportunities for developing countries and added value in development policy, if basic human, social, economic and ecological principles are followed. Investments have the potential to use agricultural land more efficiently and trigger technology transfer. Food production can be increased, greater income and employment opportunities can be created and market access can be improved. This means that investments contribute to building up a sustainable agricultural and food industry, to promoting rural development, as well as to reducing poverty and preventing famine. DEG's commitment in the agricultural sector reaches around 630,000 small farmers. Another 650,000 small farmers in twelve African countries also benefit from the programme "Competitive African Cotton Initiative Phase II (COMPACI II)" to secure the income of African cotton farmers that DEG and Deutsche Gesellschaft für Internationale Zusammenarbeit (GIZ) were commissioned to implement by the Bill & Melinda Gates Foundation and the Federal Ministry for Economic Cooperation and Development . The Egyptian company Sekem produces and processes bio-quality natural resources for teas, foods, textiles and medicines. DEG has financed and advised Sekem for many years. Since its founding for over 30 years the company has created around 2,000 jobs. Sekem also runs a school, a vocational training centre for youths and a medical care centre for its staff and the inhabitants of the surrounding villages. The profits generated by this SME partly flow into training its staff and improving their living conditions. In 2012 Sekem opened the Heliopolis University in Cairo. It offers five different courses of studies in the fields of business administration, engineering and pharmaceuticals, which all have an overarching focus on "Sustainable development". In 2015 Sekem was acclaimed for its lasting commitment to the fight against soil erosion. The convention of the United Nations on combating desertification (UNCDD) awarded Sekem the "Land for Life Award" for innovative approaches to promoting sustainable land use. The Kenyan company Kevian Kenya Ltd is an established, medium-sized producer of fruit juices. In 2012 the DEG provided Kevian with a loan worth a total of USD 7.5 million for investments in expansion. Since then Kevian has also become able to self-produce the fruit juice concentrates that it needs to make juices, which were previously largely imported. The company buys its fruits - mainly mangos, tomatoes, carrots, pineapples and passion fruit - from small farmers. This means that around 40,000 small farmers have an opportunity to earn income for themselves and their families. A large share of fruit juice concentrate is exported by Kevian to Germany. It is purchased by the Heidelberg-based company Rudolf Wild GmbH & Co. KG, one of the world's leading producers of natural ingredients for the food and beverages industry. The filling line for the fruit juices came from Germany: Krones supplied Kevian with the high-tech filling line and offered on-site training for local staff. In 2011 a total of eight European and African development institutions participated in financing the investment project related to Addax Bioenergy S.A. in Sierra Leone; the external financing amounted to EUR 142 million. The investment project covered the development of a sugar cane plantation, as well as the set up of a fermentation and distillation plant for bioethanol and of a biomass power plant, that uses sugar cane waste to generate energy. It also covered measures to promote secure foods supplies and socioeconomic development in one of the poorest regions of the country. In this project area infrastructure was significantly developed and valorised thanks to the commitment of Addax. Up to 3,500 permanent and seasonal local workers were able to earn income and improve their living conditions by buying or extending dwellings, for example. In cooperation with the Food and Agriculture Organisation (FAO) and Sierra Leone's Ministry for Agriculture, Forestry and Food Security set up a Farmer Development Programme that gave over 2,000 small farmers extensive agricultural training. The land leased by Addax was - partly for the first time - reclaimed for agricultural use and thus valorised. According to DEG information, the Farmer Development Programme is currently being continued; and 11 communities are presently participating in it. The investment project faced very challenging business conditions in Sierra Leone, a post-conflict country, from the very outset, especially given a lack of, or poorly-developed, infrastructure. The severe outbreak of Ebola in West Africa in 2014 heavily impacted the activities of Addax, which was still in the start-up phase at that point. The company showed an exemplary approach to fighting the Ebola epidemic and to supporting its employees and their families. During this crisis DEG supported the company via a complementary measure. In 2015 Addax officially announced that it would downscale its activities in Sierra Leone and that the Makeni project would be subject to a review process. DEG is legally obliged as a credit institution not to make any remarks about the companies that it co-finances and their projects, subject to the customer's approval. In this case Addax gave DEG permission to announce that the company had repaid its DEG loan. DEG takes the concerns of small farmers that are involved in the ongoing review process seriously. It will continue to monitor progress with the project and to sound out whether and how the local population can be supported.